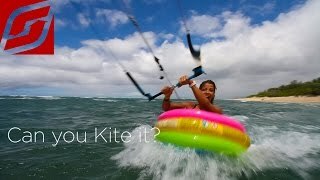 Kitesurfing Articles, Photos, Videos and great tips and tricks! 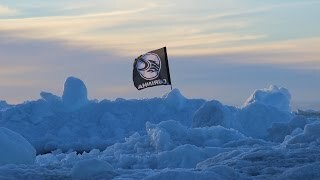 This week 24 of the world’s best kiteboarders had to wait for the right conditions, and February 2nd, 2014 was finally the day! Big Bay turned into a playground for the pro’s as they showed the crowd the highest jumps and sickest tricks they had up their (wetsuit) sleeve’s! This short film gives you an impression of how things went down on the water and in the air at Big Bay in Cape Town. Kevin Langeree claimed the title King of the Air, Ruben Lenten [2nd] and Steven Akkersdijk [3rd] which filled the rest of the podium up with flying Dutchmen. Tom Hebert and Jesse Richman crashed hard and had to be taken to the hospital. For a full update on the competition and the final results, click here. Special thanks to: the Endless Summer Beach House and the Mystic House [themystichouse.com]. Your details are safe with us, and will never be sold, rented or given away! Don't subscribeAllReplies to my comments Notify me of follow-up comments via e-mail. You can also subscribe without commenting. Best Spot Guides, Tutorials and Reviews! Go BIG or go Home: Red Bu..
Red Bull King of the Air ..
For up to date Kitesurfing News from around the world, read The inMotion Kitesurfing Daily News! We bring you the latest kiteboarding news hot off the press every 24 hours, 7 days a week. You can subscribe to our daily news paper to get the top kiteboarding stories by email each day.